Animal Behavior for Shelter Veterinarians and Staff presents and evaluates the available research and programs that address both animal and human behaviors associated with the intake, management and rehoming of dog and cats. 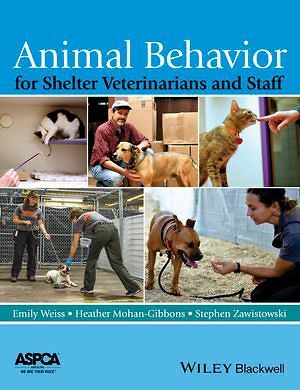 Written and edited by leading experts in shelter medicine, applied animal behavior and shelter administration, it integrates knowledge from multiple disciplines and perspectives to provide a broad based understanding of how behavior influences the welfare of dogs and cats before, during and after they enter animal shelters. The text includes information on how to help families retain pets in their homes, locate and return lost pets, make pet adoption a positive and enriching experience for all parties involved and ensure that the placement is successful, making this a must-have resource for veterinarians, veterinary technicians, and shelter professionals.